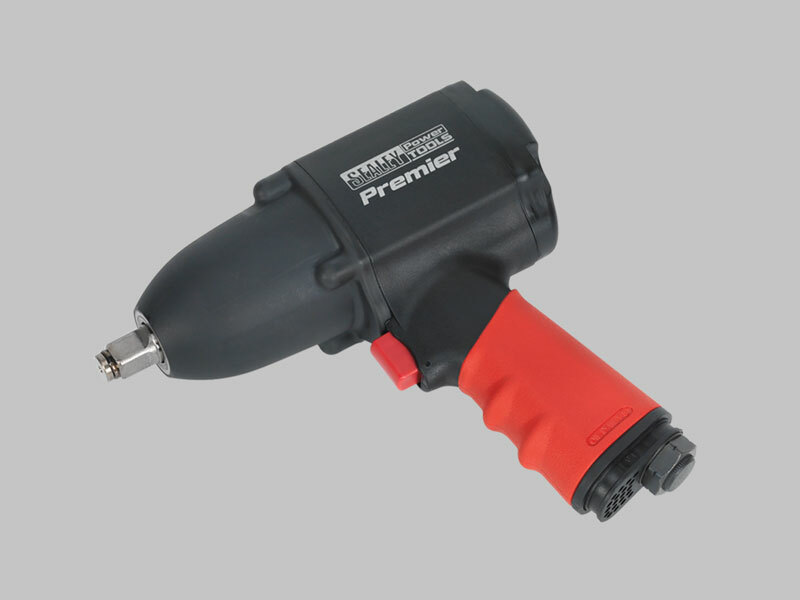 Composite casing with soft grip makes the tool lighter, easier to handle and helps reduce vibration and chill. Handle exhaust reduces noise level. Pin clutch design gives the wrench a high torque output making it suitable for jobs that would normally require a 3/4″ impact wrench. Dial type power and direction control on rear of wrench. Suitable for heavy tyre shop use. For all your equipment needs: air tool repairs, hydraulic repairs as well as sales including the full range from Sealey, SIP,UT, etc. - all at discount prices. We are proud to be Authorised Repair Agents for Sealey Power Products.